There’s nothing that says joy and celebration like a little spark of gold! 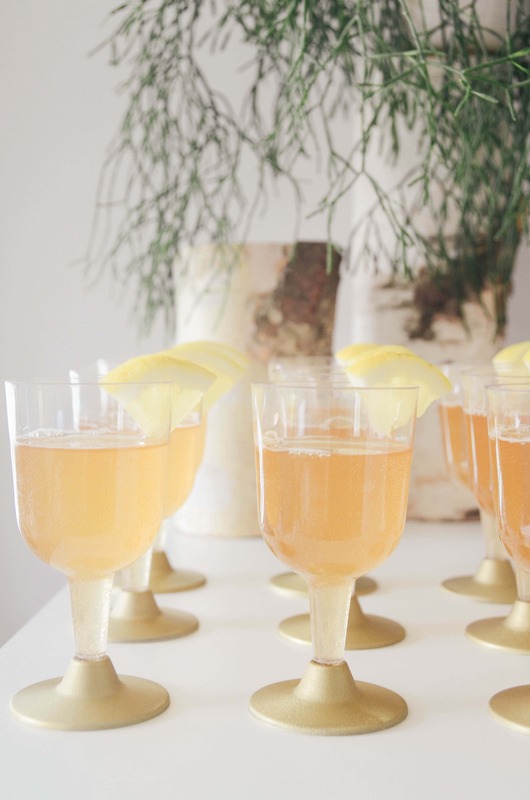 From bridal showers to spring brunches to baby showers, we always love to incorporate that little splash of our favorite metallic! 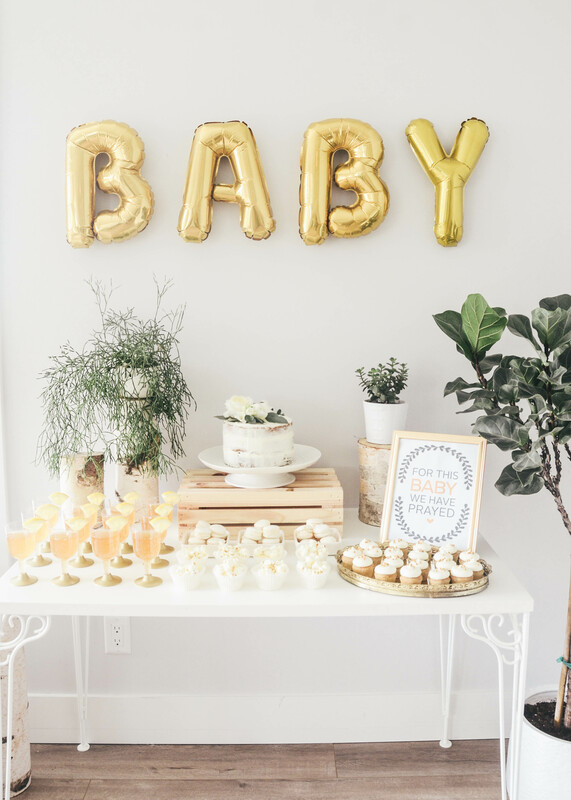 Today, we’re thrilled to share inspiration for a Gold and Birch Baby Shower from Codi Lynn at Creative Wife and Joyful Worker, showing us a whole new way to incorporate gold into our decor. Read on for more! Our sister is having a baby and we wanted to treat her to a simply sweet baby shower to remember. 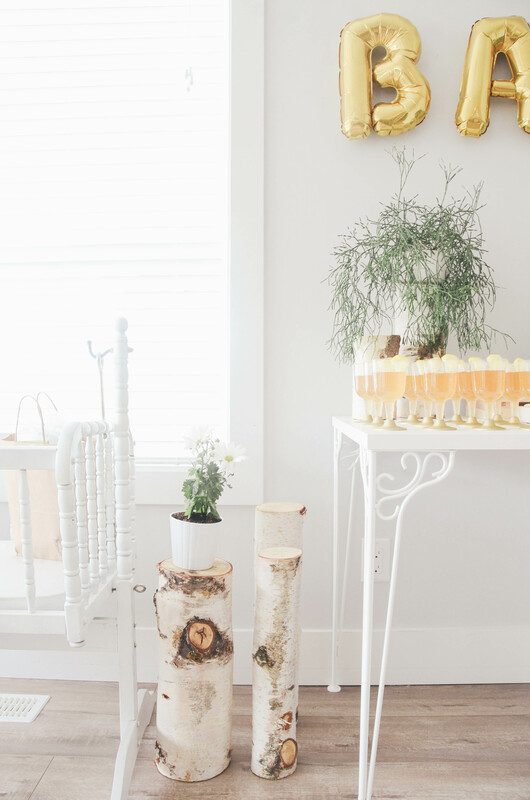 Hosted and styled by Mauve Hair Design and Creative Wife and Joyful Worker we came up with a theme to decorate with gold, birch, and potted greenery. 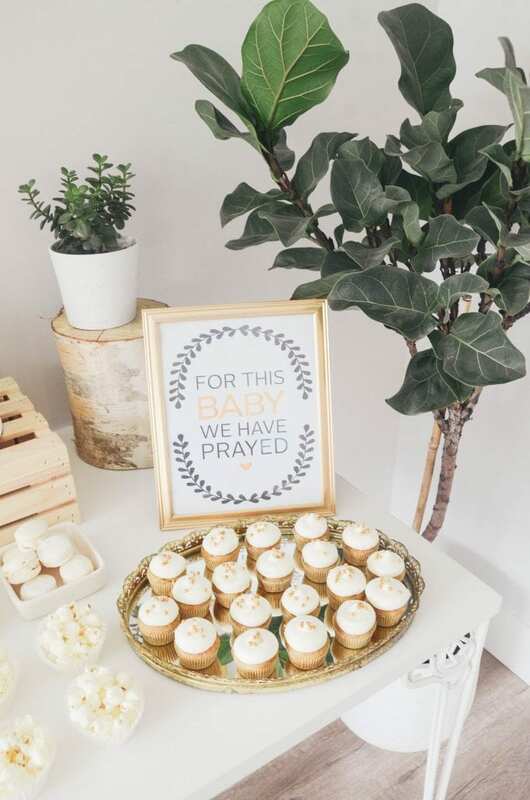 The birch logs were decor accents for our sister’s wedding, and we loved the thought of including them into her shower as a way to remember that day of unity and celebrate the couple’s first baby on the way! 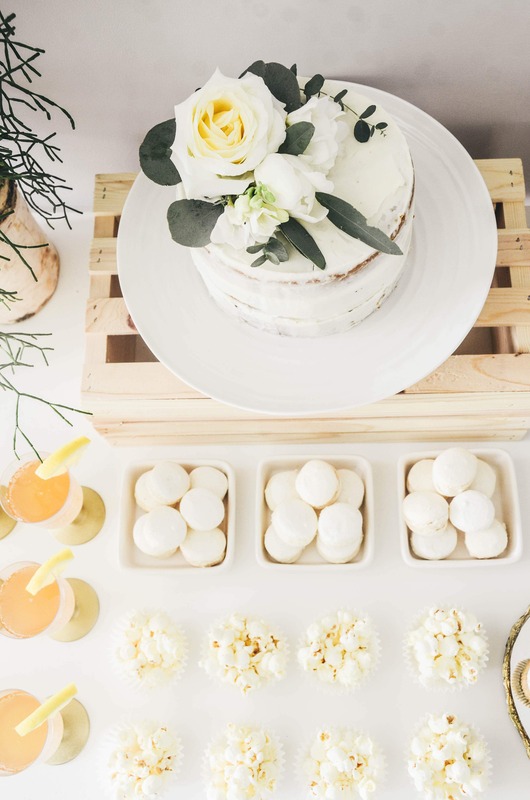 Our friend and go-to treat-maker supplied the three tiered white cake, melt-in-your-mouth macarons, and the most delicious carrot cake cupcakes. We wanted to keep it simple and attractive with white and gold being the main colors in our palette. We also added pops of gold with the vintage serving tray, gold spray painted drink glasses, and the “For this Baby” custom designed print. Next to the dessert table we placed a cradle that belonged to my sister when she was a baby, which was being gifted to her to use for her new little baby, doubling as the most perfect gift holder. It was such a wonderful way to celebrate the new addition to her family! love this and love the timeless splash of gold! On your Gold Baby shower, was the cake an 8” or 10”?